[Shanghai, China, October 10, 2018] The third annual HUAWEI CONNECT, a global event for the ICT industry, opened today at the Shanghai World Expo Exhibition and Convention Center. Themed "Activate Intelligence, this year's event focuses on AI: its challenges, opportunities, innovations, and practices. 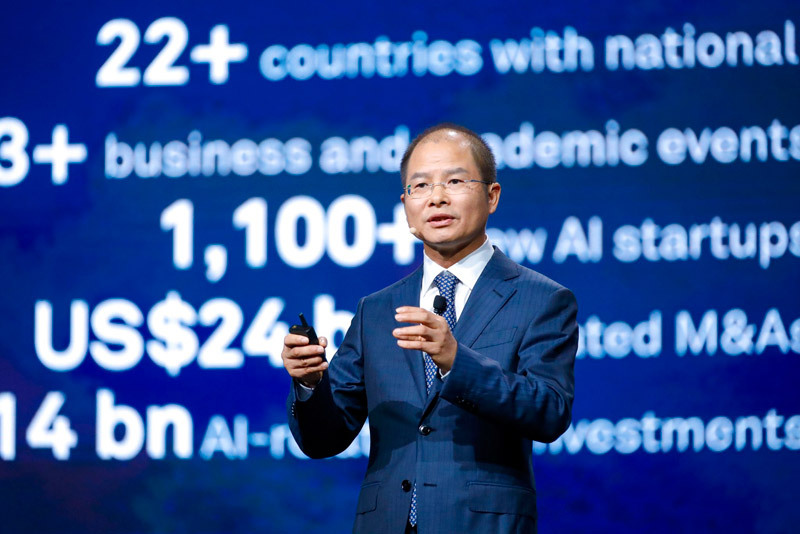 At the event, Huawei Rotating Chairman Eric Xu announced Huawei's AI strategy, as well as its full-stack, all-scenario AI portfolio. Huawei's AI portfolio includes its new Ascend series of AI chips – the world’s first AI IP and chip series designed for a full range of scenarios (see below for more information). The portfolio also includes new products and cloud services that are built on Ascend chip capabilities. With its full-stack AI portfolio, Huawei aims to provide pervasive intelligence to help drive industry development and build a fully connected, intelligent world. Xu envisions that Huawei's full-stack AI portfolio will speed up AI adoption in all industries to provide pervasive intelligence for a fully connected, intelligent world.